I have a few admissions to make, this Day of Sant Marc (Mark the Evangelist). For some reason, this is the day when tradition in Mallorca calls for the celebration of Caragoladas, snail eating banquets. Admission no. one: I have taken lots of photos of snails over the years in all shapes and sizes, alive or boiled, on the plate or in the field, in the nature or in Mallorca’s markets but right now, I can’t find any of my snail photos just as I would need one. I seem to lack in keywording abilities or in more efficient photo archiving. I am sorry but I had to borrow a photo from Wikimedia. Admission no. 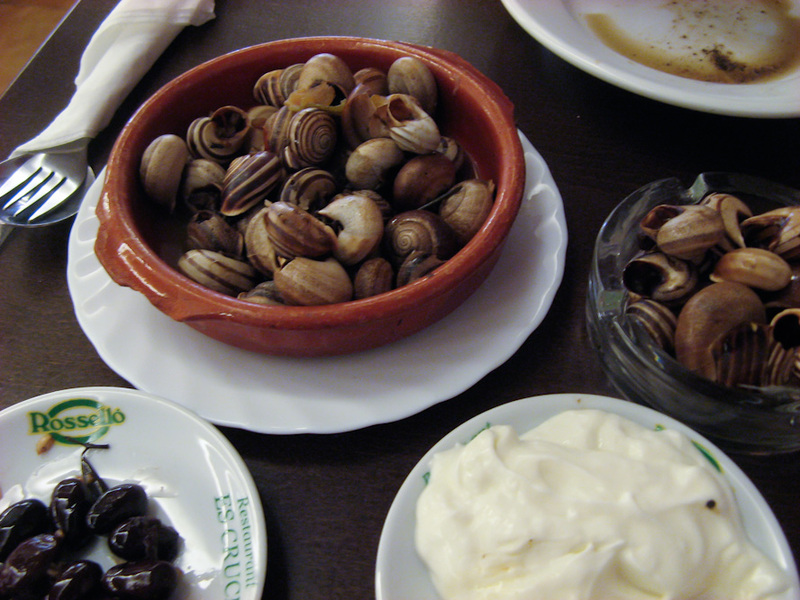 two: I am at a total loss as to why Sant Marc is associated with the eating of snails. The snail eating capital of Mallorca seems to be Sineu, but Algaïda and Sant Jordi are big snail eating communities as well. In Sant Jordi, an annual snail race is held, albeit a bit later, in mid-May. Sineu is celebrating its patron’s day today, Sant Marc, with the usual Wednesday market in an extra special, festive edition, whilst banks and offices have a festive day off. I believe that the Palau dels Reis will be open for visits today in Sineu as well. 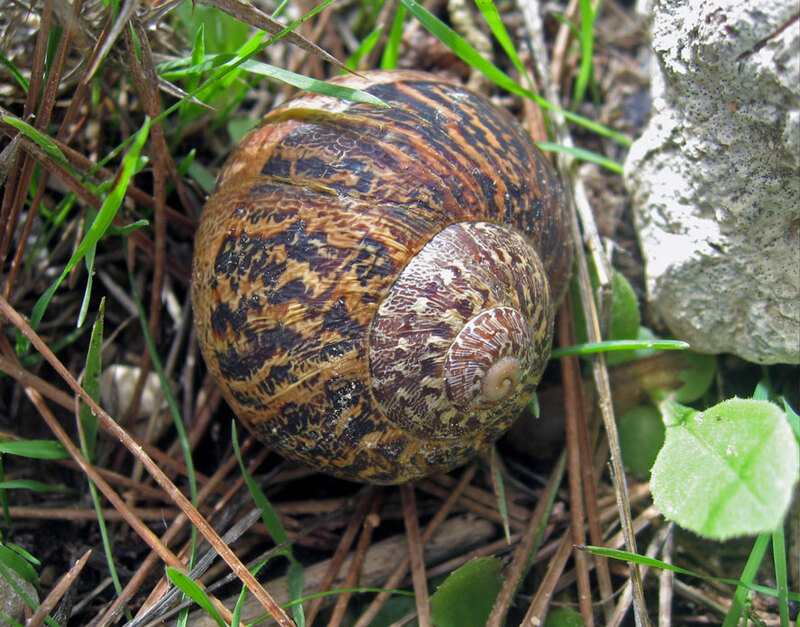 Sineu is also the place where Caragols-Mallorca resides, Mallorca’s largest snail breeders. I am sorry if I may sound a bit vague today but there you are. 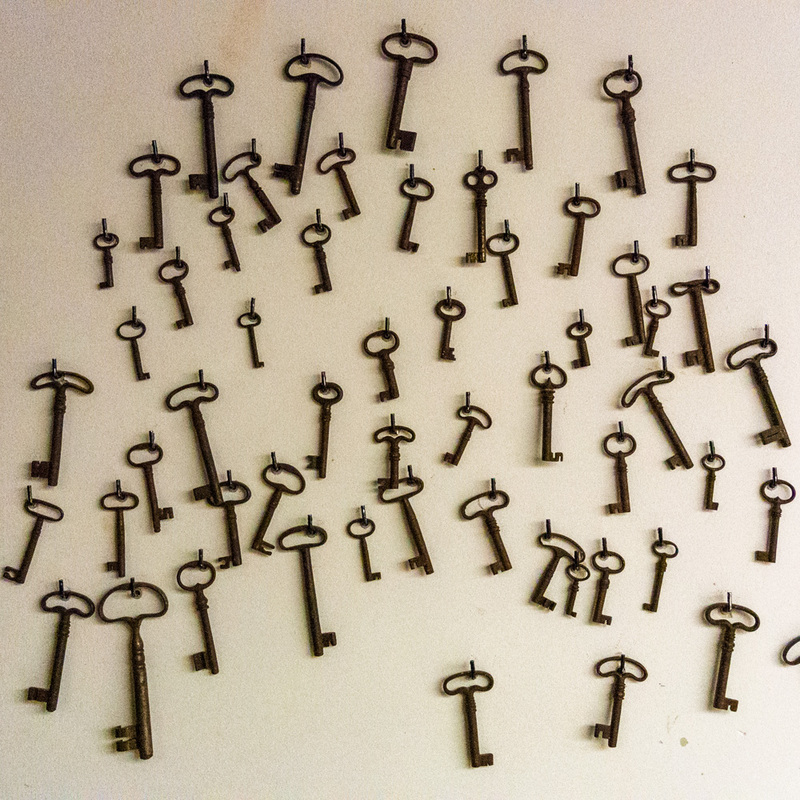 I don’t know everything, so there. The photo (top) was borrowed from the Internet, courtesy of wikimedia.org. and the photographer, Thomas Schoch. The photo (bottom) was chosen from my archive. It was taken near Petra, Mallorca, Baleares, Spain. The date: August 9th, 2008. The time was 15:33:58. HaHa! Very funny text today, made me laugh here in cold wet London. Like Derek, today’s post brought a smile to my face. For the last 60 minutes I have been semi-obsessed with finding the connection between Saint Mark and snails, but have not been able to find a single iota. I think I’ll have a glass of white and go to bed perchance to dream of the answer.